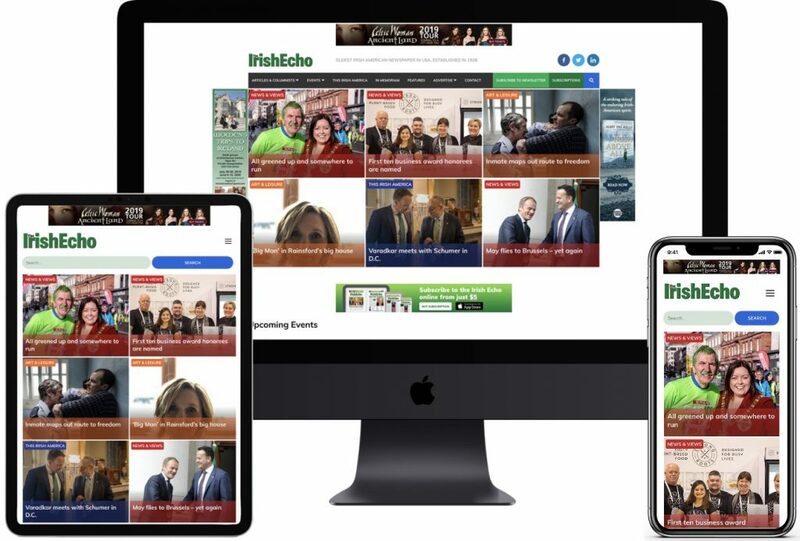 The Irish Echo newspaper is the largest circulation Irish American weekly newspaper, with a 50-state subscription base. Founded in 1928, the national tabloid is on newsstands in major American cities every Wednesday. The previous site was built using a pre-bought theme. It could not be updated or altered. The site was unstructured and hard to navigate, it lacked basic SEO features and was slow to load. The site was unstructured from a technical and usability standing – all things Wibble identified in the initial research phase of our web design and redevelopment project. There were many issues that we identified and where key to the project success. The previous site was built using a pre-bought theme. It could not be updated or altered. The site was unstructured and hard to navigate, it lacked basic SEO features and was slow to load. There were many issues that we identified and where key to the project success.